I first discovered Opus Plants at a Garden Conservancy Open Days event at Sakonnet Garden several years ago now (OK, maybe four years ago or so). Opus Plants were selling some plants and I was beside myself with joy at the interesting variety of plants they had. I scored my first Sanguisorbia Red Thunder from them, which I had been looking for everywhere, and my favorite salvia, Dear Anja (which I have never been able to source since) as well as some other plants that performed so well and were so beautiful I immediately wanted to visit the nursery and purchase everything. My plan to monopolize Opus Plants purchases was foiled because they are a nursery that is 1) only open by appointment 2) is in Rhode Island and I am not 3) at the time they did not have a website 4) at the time, they did not have a plant list available. Every so often I would email the nursery and inquire if they had this or that plant, but they were always sold out. They were so elusive to me that I began to imagine I had dreamed up their existence. 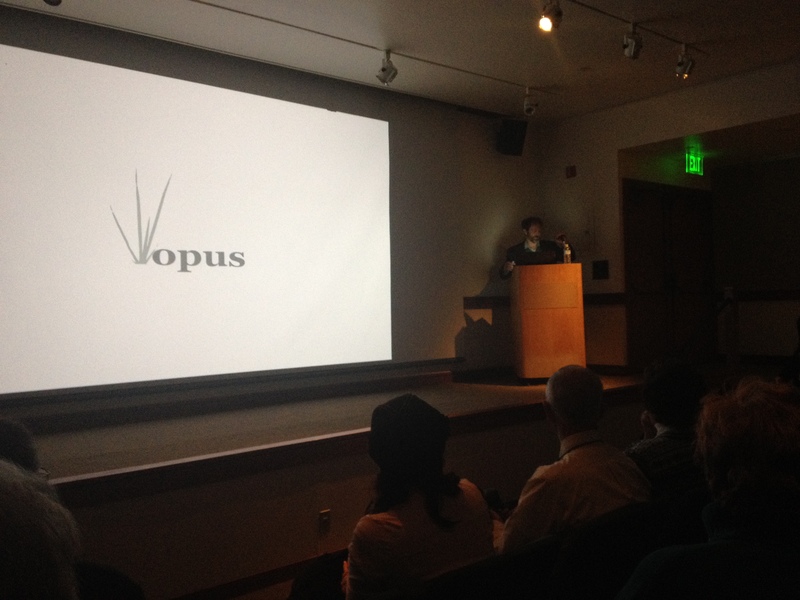 When I learned that Ed Bowen, founder of Opus Plants, was speaking at Tower Hill, I dropped everything and went. Ed gave an amusing, self-deprecating, honest talk on some very interesting plants for shade. He apologized at the start by saying he was not going to just give a list of shade plants, and good to his word, his talk was as much as about the process of gardening as it was about mentioning some of his current favorite shade plants. It’s always re-affirming to hear a professional, an expert in his field, talk about how much he still has to learn, how gardening is about the process, how all good garden lessons are learned in retrospect, and how he doesn’t “ever expect mastery”. The last bit of advice is good to be reminded of, but hard on the ego. On the other hand, it’s a wonderful reason why the perfectly complete garden can not exist. Where can you find all these treasures? At Opus Plants, of course. Who now have a website, a plant list, a blog and mail order. They are, however, still in Rhode Island. a field trip is in order!!!! Wow, I have never heard of a single one of these plants. Very curious now, though. Also never heard of Opus or Ed Bowen, so thanks for sharing. I’m glad I get to broaden your plant horizon via Opus Plants breeding program! It sounds like it was a very interesting talk. It is always nice to hear someone who knows his or her subject but is at the same time conscious of his or her limitations. Yes, Alain, you are so right.